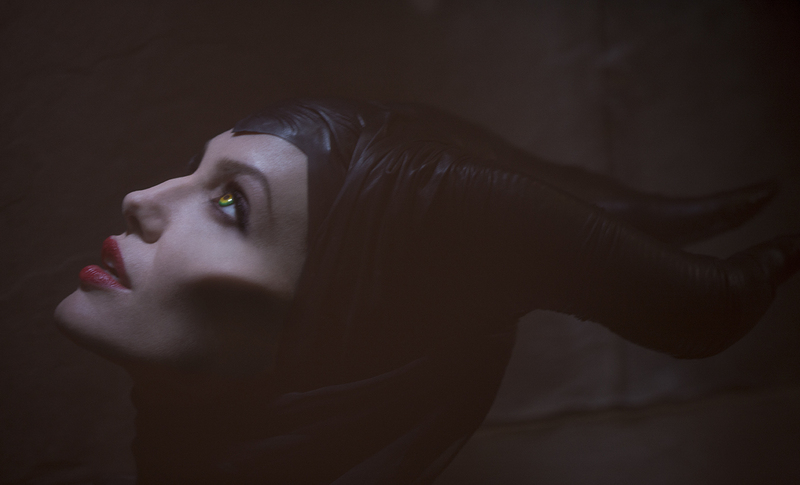 Well that definitely looks like Angelina Jolie as Maleficent, cheekbones and all. It’s an interesting look they’ve used to create the iconic horns on her head. They look like some kind of leather-based head wear. Co-starring in the film with Jolie and Fanning are Sharlto Copley, Sam Riley, Imelda Staunton, Miranda Richardson, Juno Temple and Lesley Manville. ‘Maleficent’ is scheduled for a March 2014 release in 3D. You can click the image below to see in hi-res. What do you think of Angelina Jolie as Maleficent? This entry was posted in Movies, Photos and tagged Angelina Jolie, Maleficent, Movie, Sleeping Beauty, Walt Disney. Bookmark the permalink.